Mr Mason has had over 45 years experience in the fields of Horticulture, Recreation, Education and Journalism. He has extensive experience both as a public servant, and as a small business owner. He has held positions ranging from Director of Parks and Recreation (City of Essendon) to magazine editor. John is a well respected member of many professional associations, and author of over forty books and of over two thousand magazine articles. Even today, John continues to write books for various publishers including Simon and Shuster, and Landlinks Press (CSIRO Publishing). In recent years he has had books published on Herbs, Vegetables, Commercial Hydroponics, Cutting Propagation and Sustainable Agriculture. John writes regularly for a number of publications, has also been a writer/editor for several magazines including "Home Grown"; and frequent guest on gardening radio both inside and outside of Australia. Maggi is regarded as an expert in Organic Growing throughout the UK, having worked for two decades as Education Officer at the world renowned Henry Doubleday Research Association. She has been active in education, environmental management and horticulture across the UK for more them three decades. Thady is a consultant to the horticulture industry in the UK, with particular interest in the ornamental plant sector. 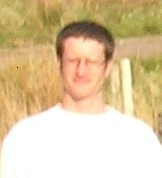 Senior lecturer at Writtle College (20 years -89 to 2009) which included being course tutor for RHS qualifications. Wide horticultural experience with specific interest in propagation techniques and plant production technologies. Member of the International Plant Propagators Society (IPPS) and awarded the Rose Bowl Award in 2009 in recognition of his contribution to the society. She also has experience gained through working as a volunteer in a number of different roles including amenity style gardening in parks and practical conservation work. Gavin has over 18 years of industry experience in Psychology, Landscaping, Publishing /and Education. He was operations manager for a highly reputable British Landscape firm (The Chelsea Gardener) before starting up his own firm. He spent the best part of three years working in our Gold Coast office, partly as a writer for Your Backyard (gardening magazine), and partly as a tutor in both psychology and horticulture. Gavin is now based in the Adelaide, working with ACS and as a freelance author and consultant. Rosemary Davies Dip Hort Sc. Originally from Melbourne, Rosemary trained in Horticultural Applied Science at Burnley, a campus of Melbourne University. Initially she worked with Agriculture Victoria as an extension officer, taught horticulture students, worked on radio with ABC radio (clocking up over 24 years as a presenter of garden talkback programs, initially the only woman presenter on gardening inVictoria) and she simultaneously developed a career as a writer. She then studied Education and Training, teaching TAFE apprentices and developing curriculum for TAFE, before taking up an offer as a full time columnist with the Herald and Weekly Times and its magazine department after a number of years as columnist with the Age. She has worked for a number of companies in writing and publications, PR community education and management and has led several tours to Europe. In 1999 Rosemary was BPW Bendigo Business Woman of the Year and is one of the founders and the Patron, of the Friends of the Bendigo Botanic gardens. Peter has over 40 years of experience in Agriculture and resources management. He is a former lecturer with the University of Queensland (Gatton), and manager of Lone Pine Koala Sanctuary. He also established and managed the wildlife park for Dreamworld, one of Australia's largest theme parks. Peter has both wide ranging experience in farming and wildlife management, and continues to apply that knowledge both through his work with ACS, and helping his adult children who have pursued careers of their own in similar areas. Marius Erasmus B.Sc.Agric., B.Sc. (Wildlife), M.Sc.Agric. Subsequent to completing a BSc (agric) degree in animal science, he completed an honours degree in wildlife management, and a masters degree in production animal physiology. Following the Masters degree, he has worked for 9 years in the UK, and South Africa; in wildlife management, dairy, beef and poultry farming. Adriana Fraser Cert.Hort., Cert.Child Care, Adv.Cert.App.Mgt., Cert 1V Assessment and Training., Adv.Dip.Hort. Adriana has over 25 years of experience in horticulture and organic growing, business, project management and writing. 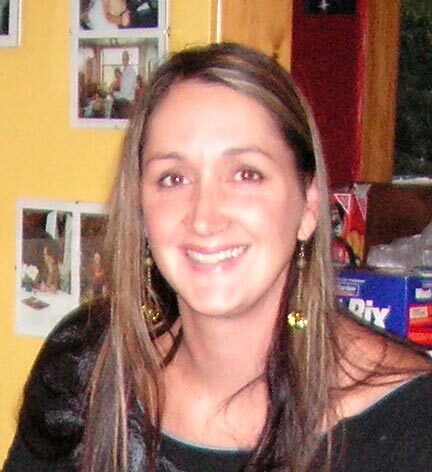 She has worked extensively in the nursery and garden design industry, as a TAFE teacher and in community education. She also operated a display herb garden at her home for students interested in herb identification and propagation. She also worked as a project manager for Community Jobs Programs - developing public parks and gardens. Adriana has written regularly for a range of publications (including Australia's national Grass Roots Magazine) since the early 1980's. 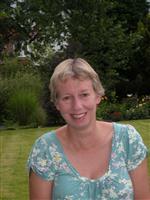 She continues to be actively involved in writing, gardening and organic growing - in addition to her work for ACS as tutor, course counsellor and course writer. 40 years experience in industry, having held a wide variety of senior positions in both government and private enterprise. Bob's experience and knowledge is diverse, encompassing fields of Horticulture, Agriculture, Environmental Management, Business and professional writing. B.Sc. (Hons) (Psychology), M.Soc.Sc (social work), DipSW (social work), PGCE (Education), PGD (Learning Disability Studies). Tracey has around 15 years experience within the psychology and social work field, particularly working with people with learning disabilities. She is also qualified as a teacher and now teaches psychology and social work related subjects. 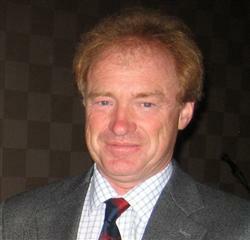 Dr Morgan has a broad expertise in horticulture and crop production, and a keen appreciation of the global scene. She travels widely as a partner in Suntec Horticultural Consultants, and has clients in central America, the USA, Caribbean, South East Asia, the Middle East, Australia and New Zealand. RHS Cert.Hort, Dip.Hort, M.Hort, Cert.Ed., Dip.Mgt. Over 30 years of experience in horticulture, education and management, Yvonne hastravelled widely within and beyond Europe, and has worked in many areas of horticulture from garden centres to horticultural therapy. She has served on industry committees and been actively involved with amateur garden clubs for decades. Bring an exotic touch to your back yard by learning how to garden in tropical climates.